It is always great to find out about new places where you haven’t been before. We have spent a number of holidays in SW Wales though not for some years now, but I have never been to Caldy Island. Finding such places is a lovely surprise as we had on the way back from Weymouth earlier this year when quite by chance we found Blashford Lakes in Hampshire which turned out to be an absolutely fantastic wildlife spot. 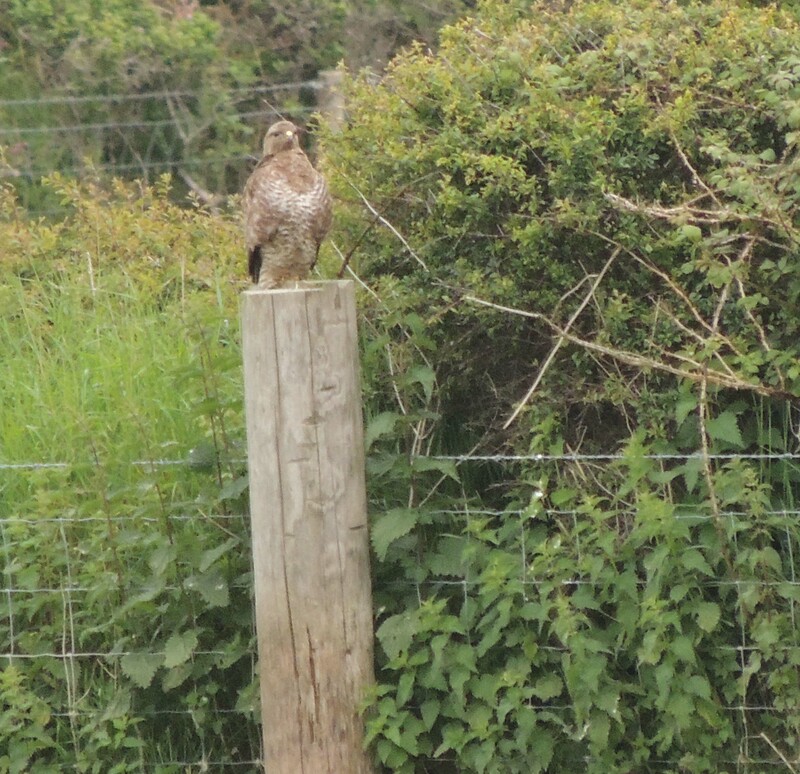 Amazing poto of a Sparrowhawk visiting a garden in Wales. Via Sue Lewis….this female sparrow hawk has been marauding around Sue’s garden… helping herself to the feeding birds much to sue’s annoyance ..but still a very likeable visitor. The sight of starlings gathering for an evening roost in winter, a murmuration, can be one of the most spectacular sights in nature as this post reports. I remember when there used to be one in Trafalgar Square in the centre of London. It was a fantastic way to finish a day’s visit to the city just watching those thousands of birds wheeling away in the sky before finding a place to spend the night. Sadly no more there, but there are still some magnificent places in the UK to see murmurations in action. 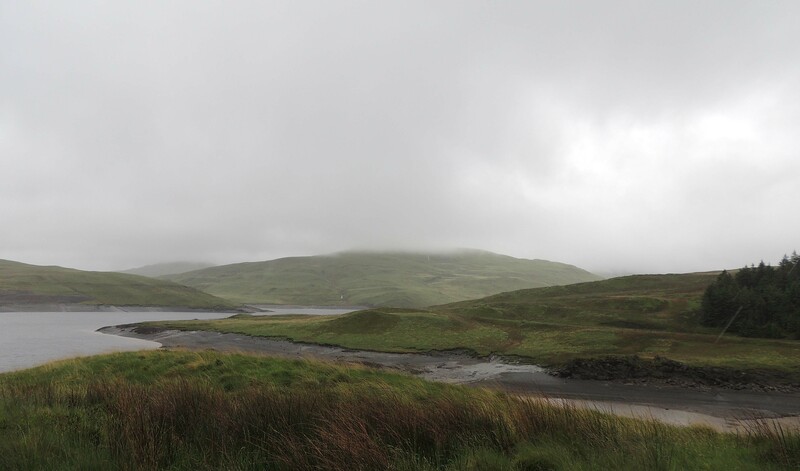 My last morning in West Wales and we begin at Nantymoch reservoir. 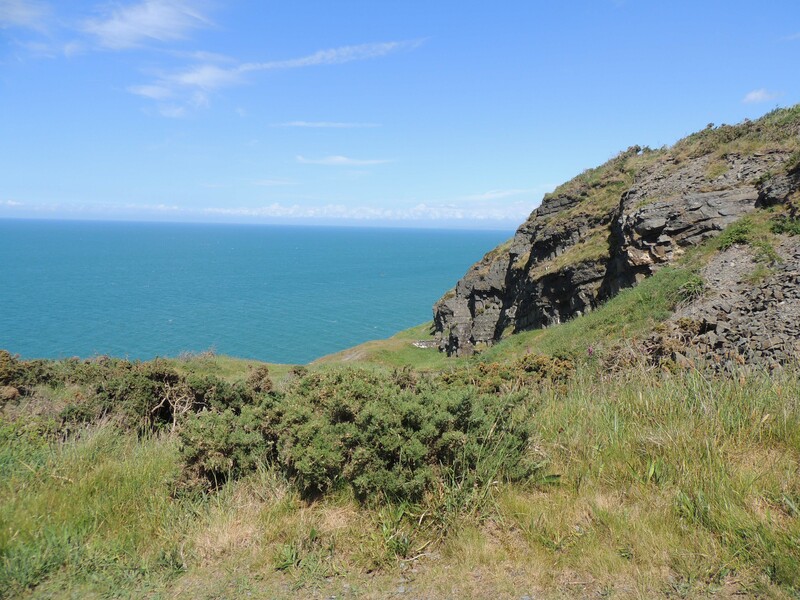 This is one of the few places in Ceredigion where Great Crested Grebe nest. 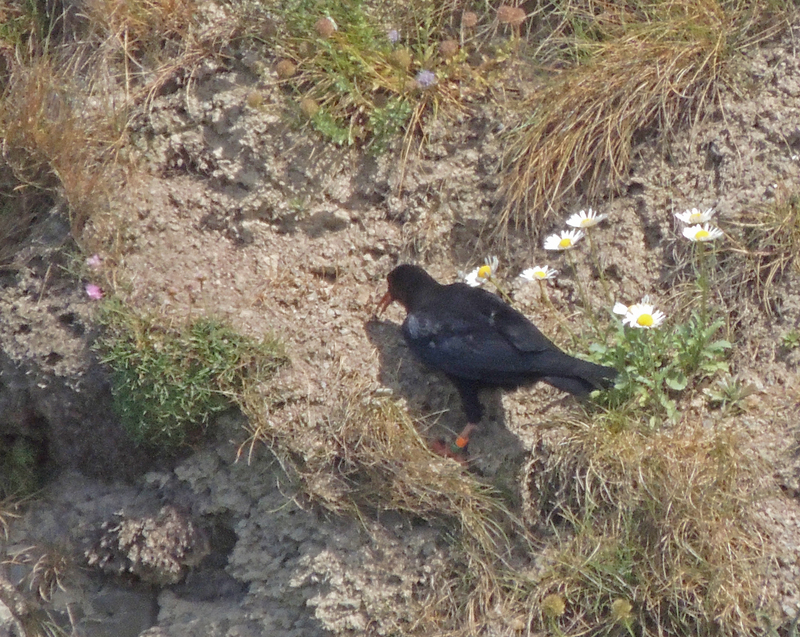 We manage to locate one of the pair here, the only bird of this otherwise common UK species we will record on this trip. 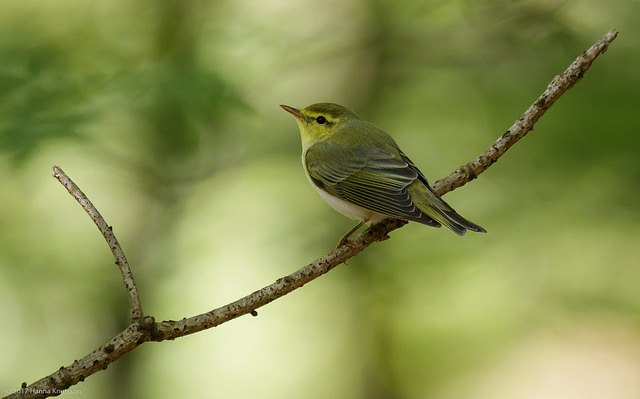 We also find Tree Pipit, Northern Wheatear and Common Sandpiper. Next stop is a return to Ynyslas and this time 6 Western Cattle Egrets are present in the field and some are much closer to us than before. As it is time to return to Aberystwyth for the train, we stop on the front and see Manx Shearwaters passing down the coast. Day 4 of my trip to West Wales began at Ynys-hyr RSPB reserve where we were looking for Wood Warbler. 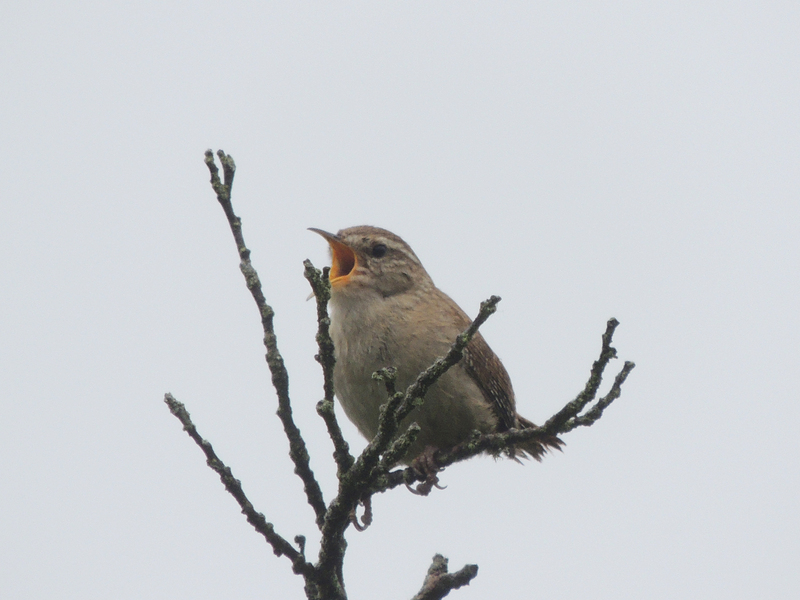 In an area which earlier in the summer had held 5 singing males, we drew a blank. 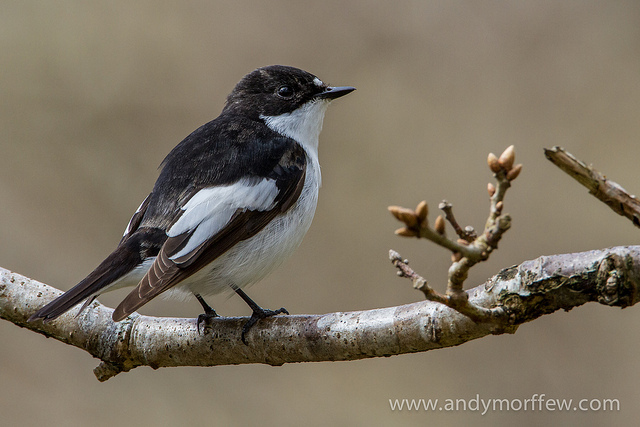 Near the visitors centre, we located a Pied Flycatcher nest and watched as the male and the female brought food back to the nest. 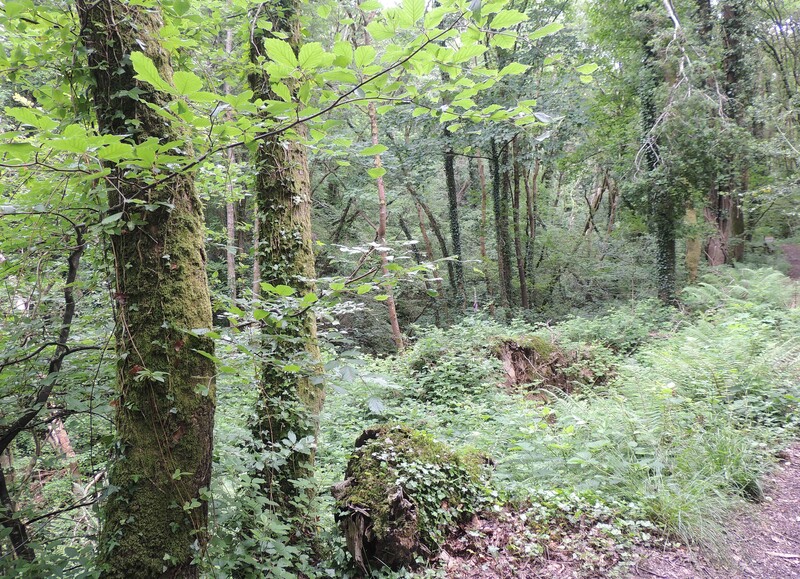 Moving onto Cwm Clettwr, another woodland reserve we finally located a Wood Warbler, which gave a magnificent display of singing and of the fluttering butterfly-like flight as it returned to its nest in the undergrowth – something none of us had seen before. 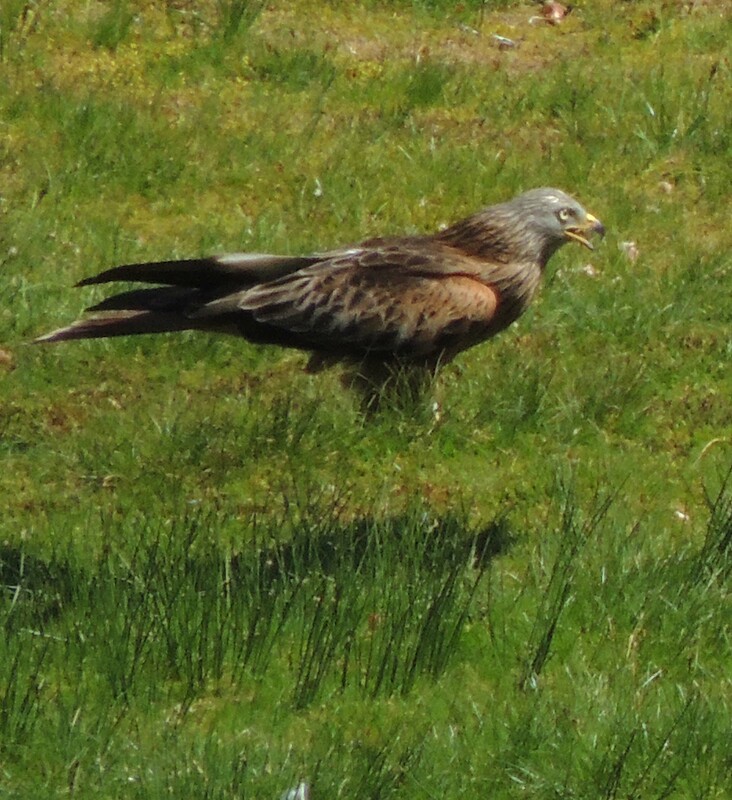 Our next stop was Nant Yrarian, where the local Red Kites are fed. 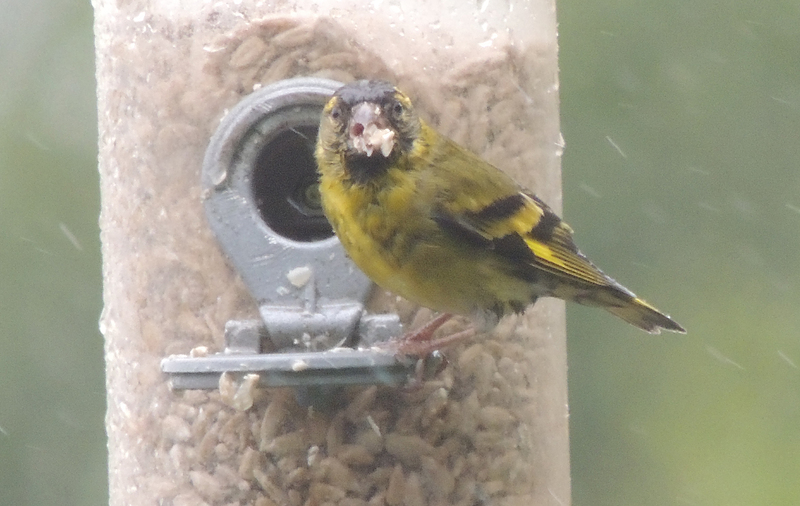 This has two purposes – one to supplement the natural food available in times of shortage and thus maintain a healthy population and secondly as a way of introducing the public to the wildlife around then. 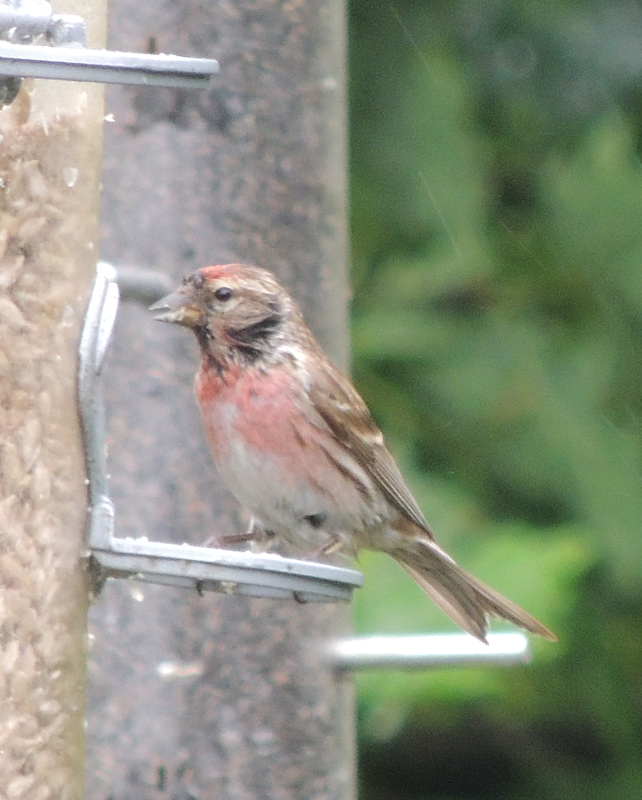 It is quite a spectacle and we estimated that at feeding time there were about 150-200 present. Our final stop of the day was the area around the Rheidol Power Station. 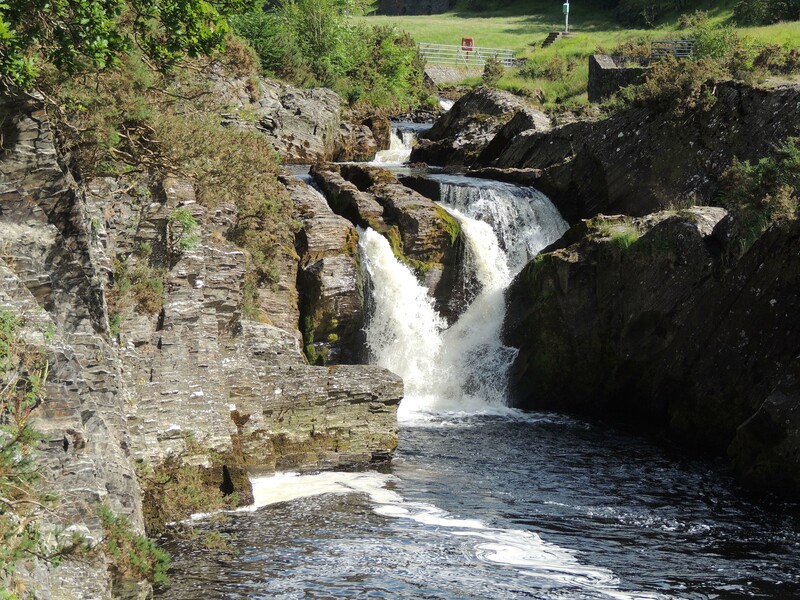 Here we found Dipper, Grey Wagtail and Common Sandpiper – all birds associated with upland river and streams. 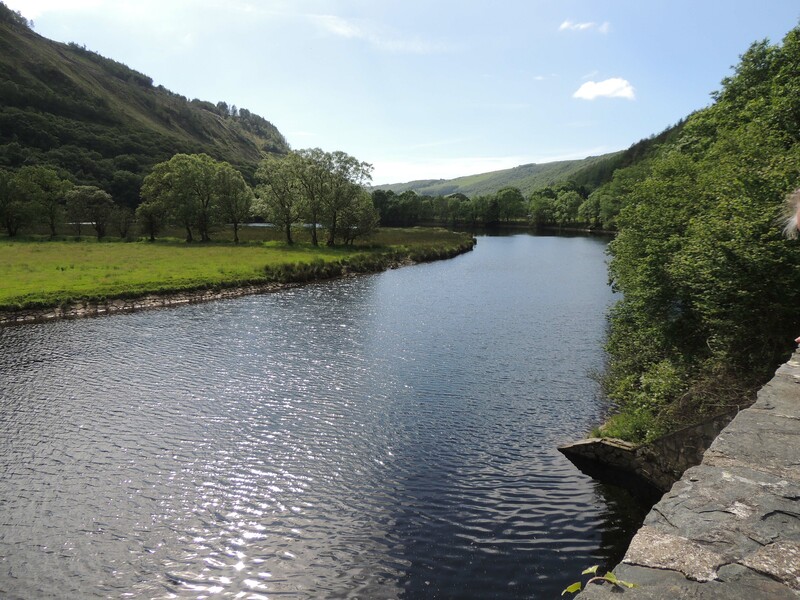 River Rheidol from Rheidol Power Station. 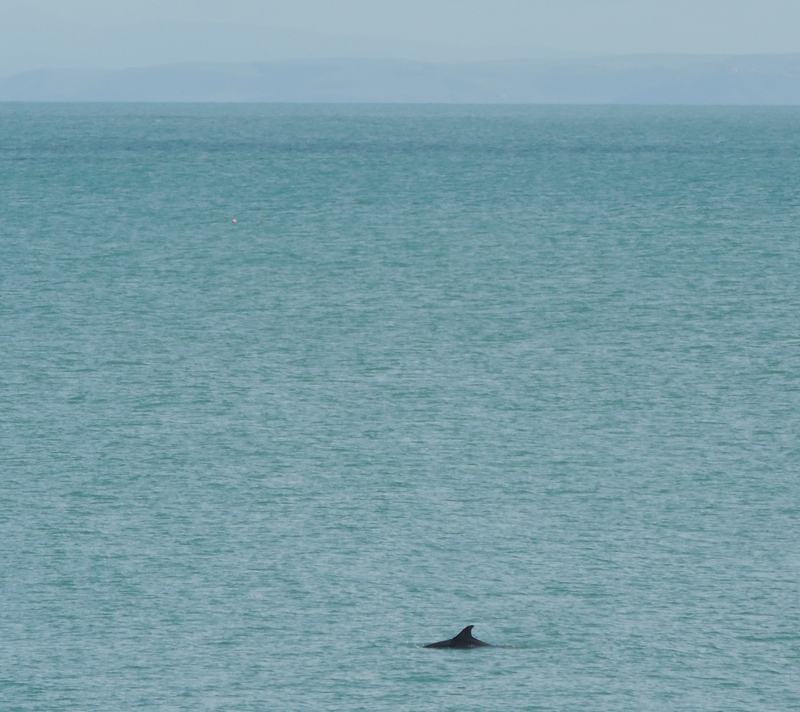 Day 3 of my trip to West Wales began with a trip to Newquay Harbour where we had great views of Bottle-nosed Dolphins off the breakwater. There were also a group of Gannets fishing the waters beyond the harbour entrance. 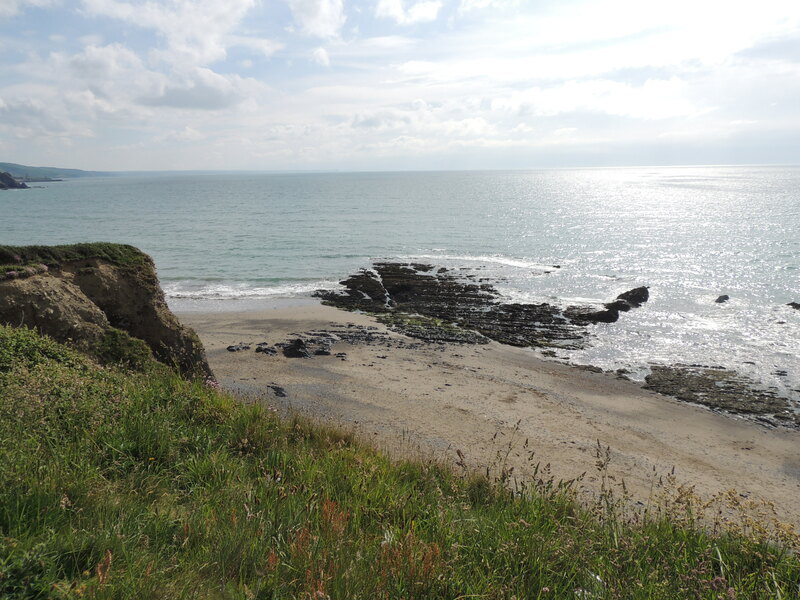 The next stop was the cliffs above Newquay where we enjoyed excellent views of the nesting Guillemots and Razorbills. 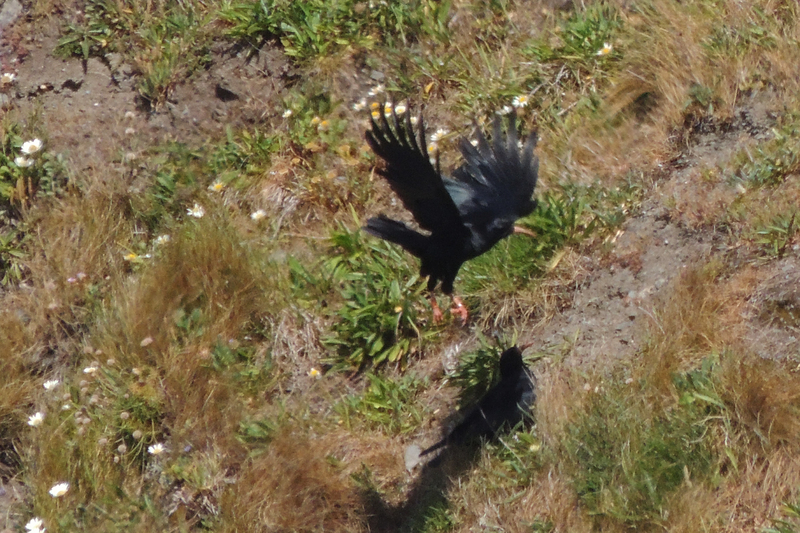 Whilst watching these a Chough flew by and further along the cliff top we were found two birds on the cliff tops. 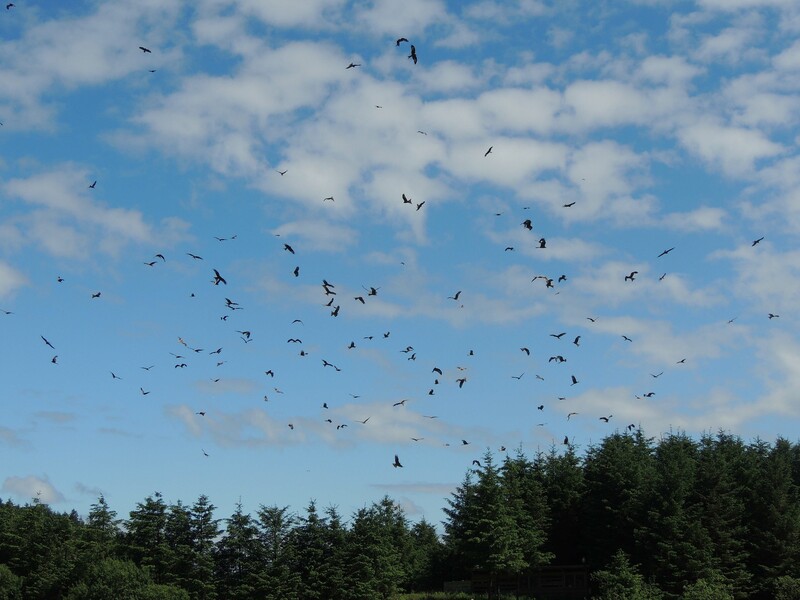 Also present were Fulmer, Kittiwakes and a family of Ravens. 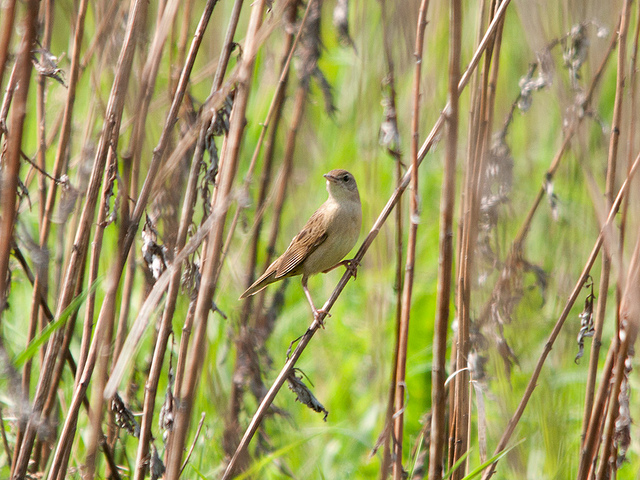 As we were preparing to return to the car, we heard a Grasshopper Warbler calling from scrub nearby. 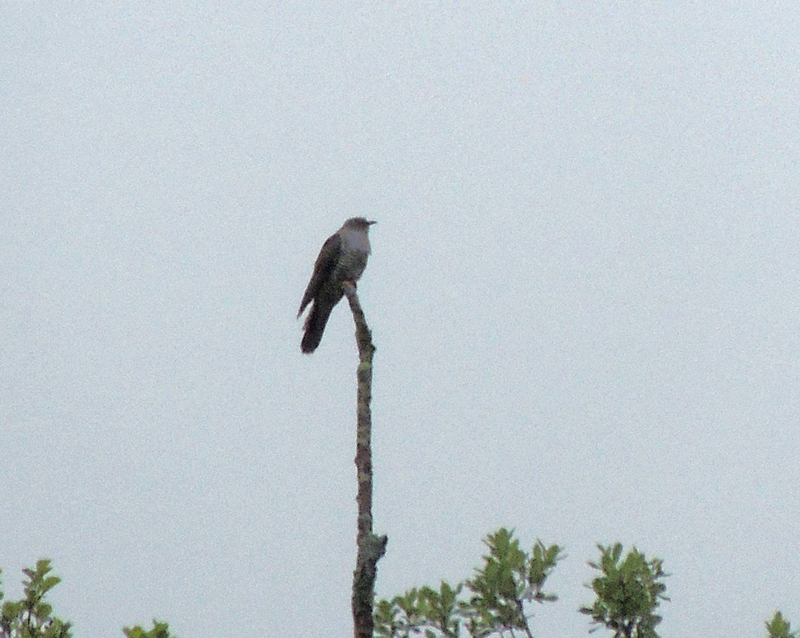 It took about 20 minutes but eventually, we found it in a scrub bush and we all had a good view (a first ever for me!). After a break for lunch, we went onto Cors Caron, a peat bog near Tregaron. 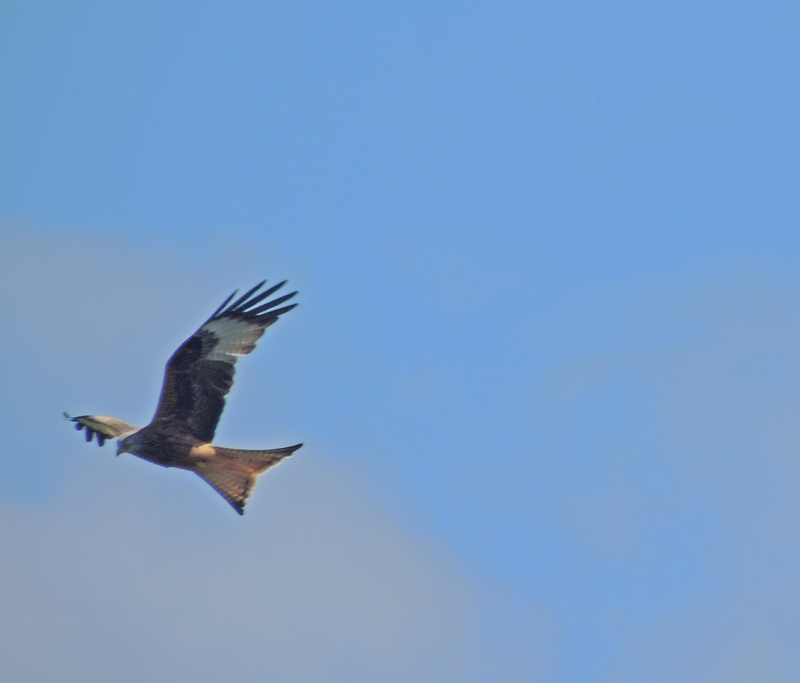 Our target bird was Hobby but although we recorded Raven, Buzzard and Red Kite, there was no sign of a Hobby. We did get a good view of Whinchat and Stonechat perched in the small scrub bushes that grow in the bog. 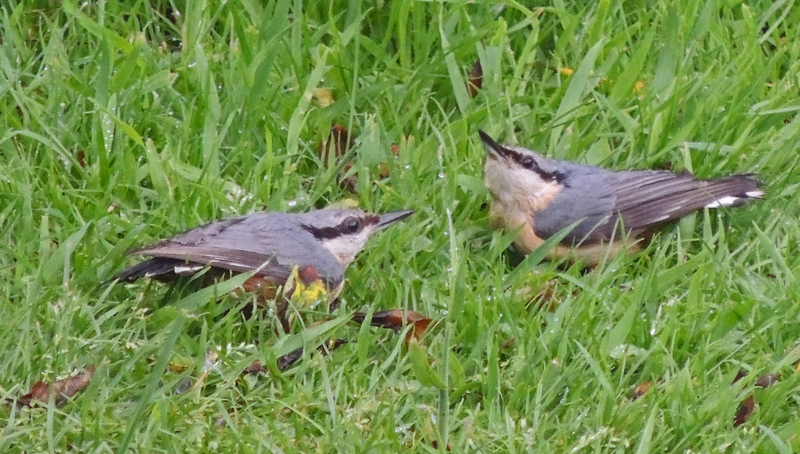 Day 2 of my trip to West Wales and before we left the hotel we were treated to watching a stand-off between two Nuthatches in the garden. They stood absolutely still for about 5 minutes before one flew at the other and drove it off. 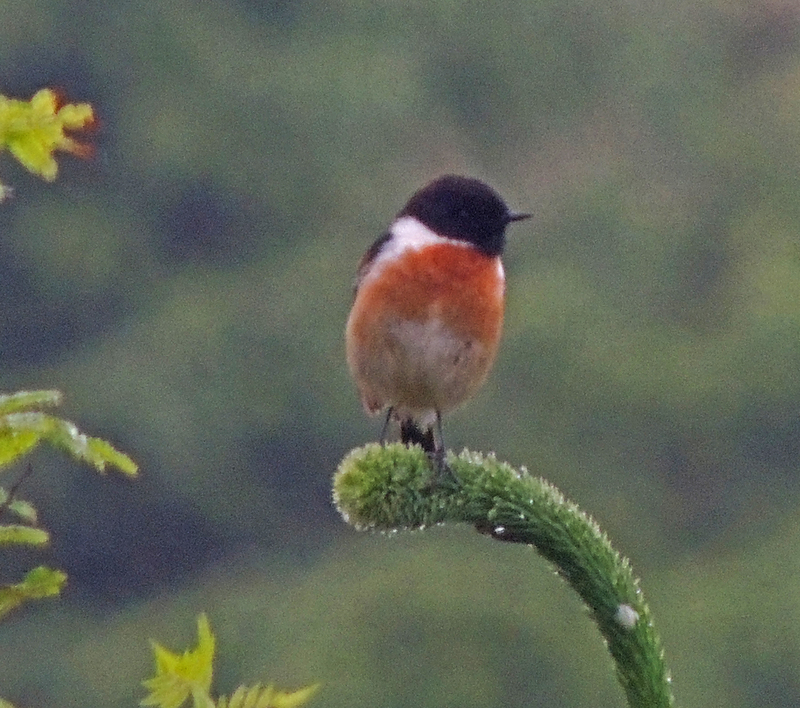 Our travels started off on the Pendam Mountain Rd, where we had excellent views of Tree Pipit and Stonechat. 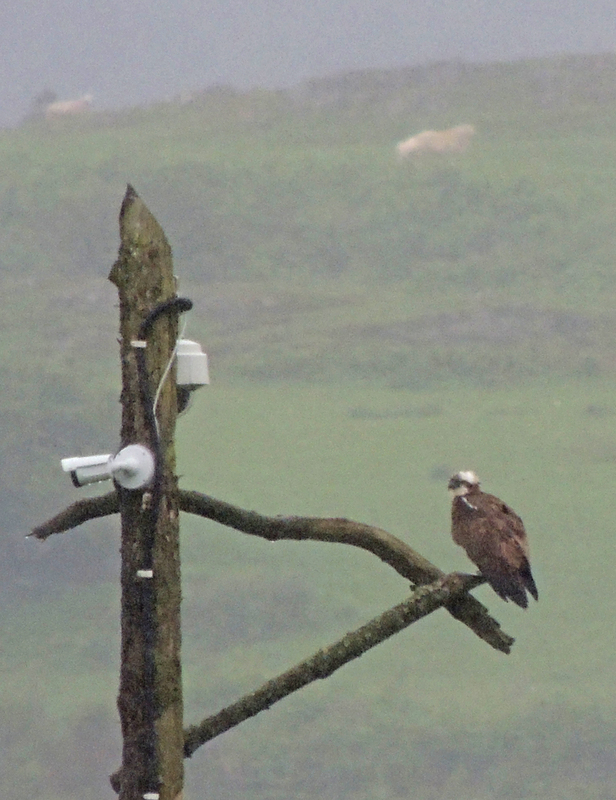 The rain started to fall and so we decided to make our way to the Dyfi Osprey Project site. 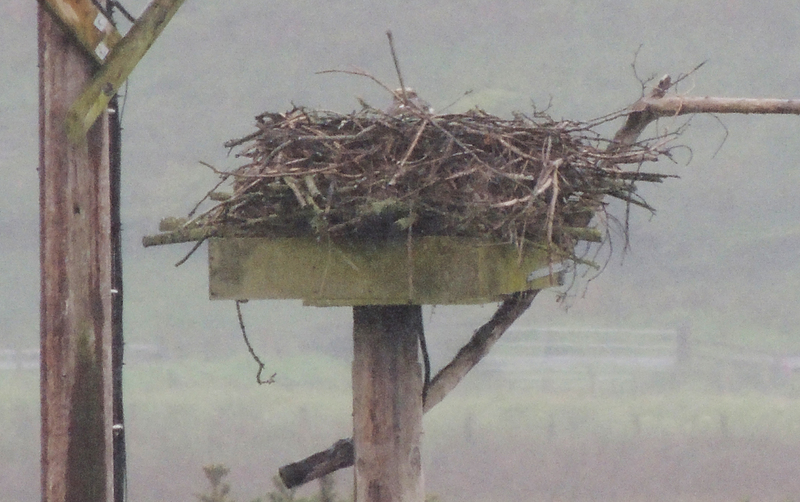 From the hide, we had excellent views of the two nesting Ospreys. 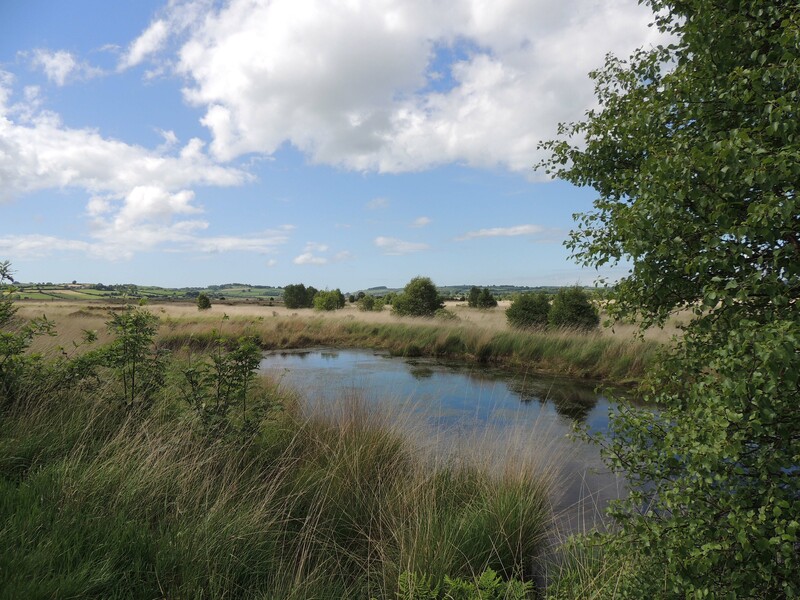 Elsewhere on the reserve, we had good views of Cuckoo, Lesser Redpoll and Siskin along with hearing Reed and Sedge Warblers singing from the reed-beds. 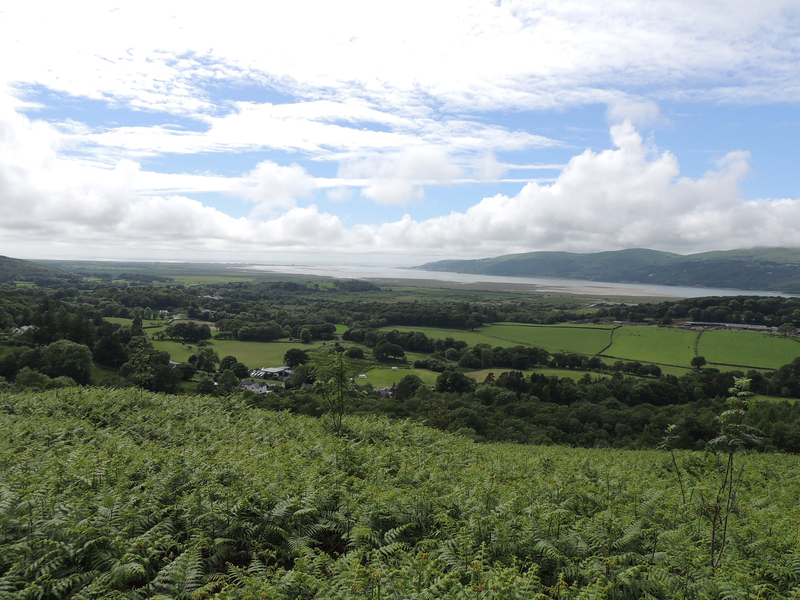 Our next stop was Glandyfi, a viewpoint looking over the Dyfi Estuary. Here we added Goosander to the species seen along with Cormorant and a number of Little Egrets. 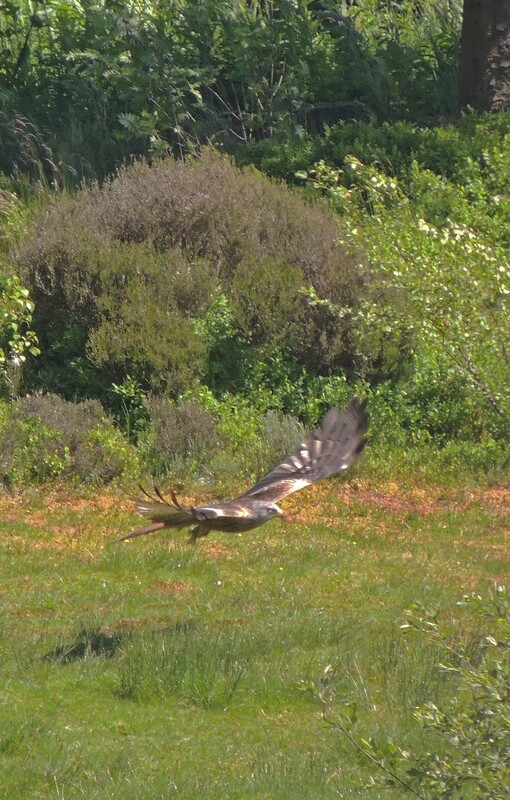 Our final visit was to a hill at the rear of the RSPB reserve at Ynys Hyr where we had again excellent views of Cuckoo but although we could hear a singing Whinchat we were unable to locate the bird. 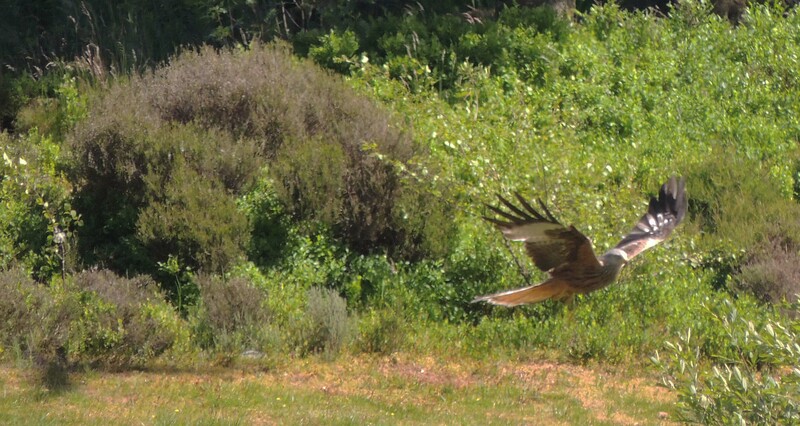 Buzzards circled overhead and as we prepared to leave a Grey Heron flew down the valley. 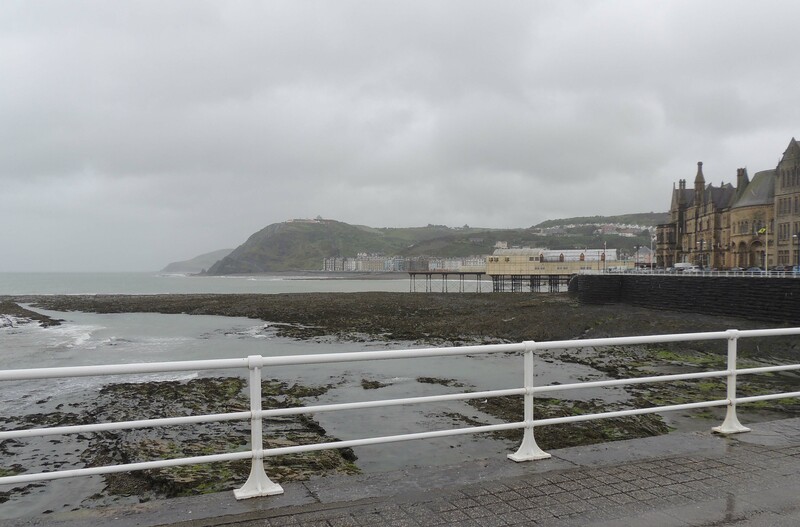 Arrived in Aberystwyth, West Wales at Lunchtime to meet up with local birder John Davis, who is my guide for the next few days and two other visitors, Jen and Karen. 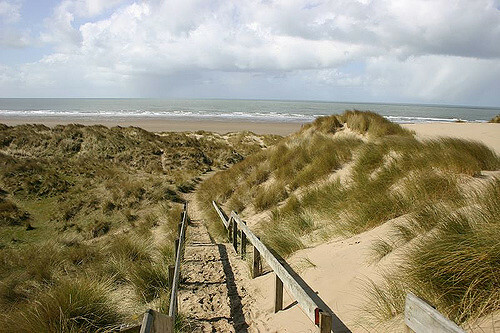 Our first stop is Ynyslas at the mouth of the Dyfii estuary. As we walk down to the estuary we survey the surrounding fields as there have been a number of good birds found here in the past few days. There is a large group of Canada Geese but nothing else and then I see two white birds making their way through the undergrowth in a distant field – it is 2 of the group of Cattle Egrets that have been around. 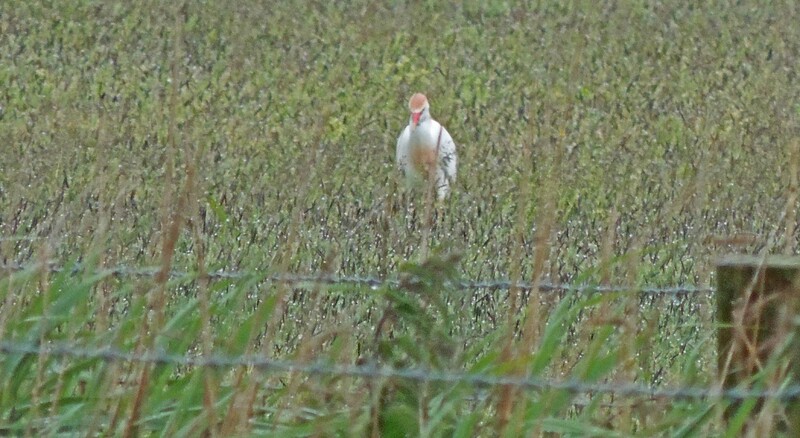 Even at this distance, we can see the beautiful breeding plumage. 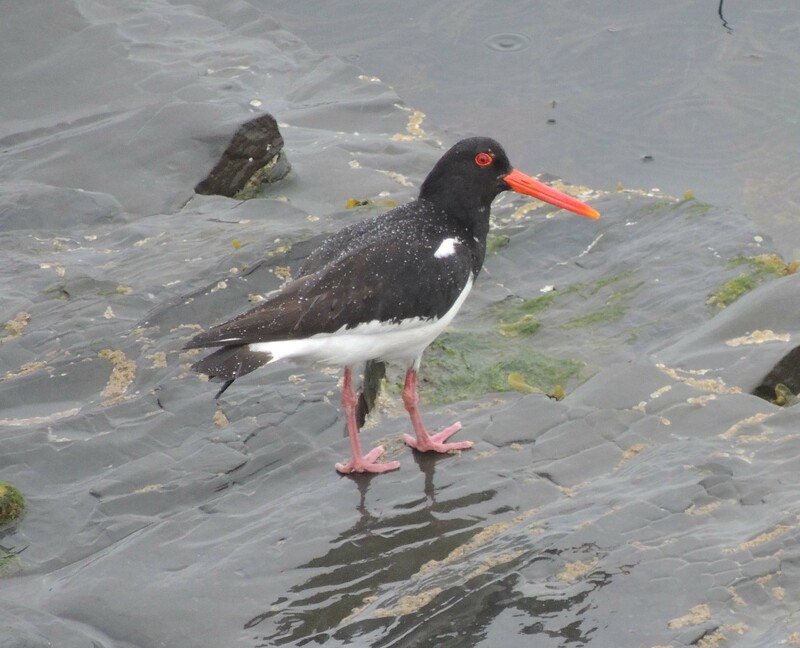 After watching them for a period we make our way down to the estuary, but there is quite a lot of disturbance and not many birds are seen apart from a Red Kite, a Little Egret and a single Oystercatcher. We make our way back the way we have come and were delighted to see 4 Cattle Egrets in a much nearer field and giving much better views than before. Our attention is drawn away by a white-headed gull in the field as an American Ring-billed Gull has been seen in the area, but this turns out to be a Common Gull (not a common summer sighting in this area). 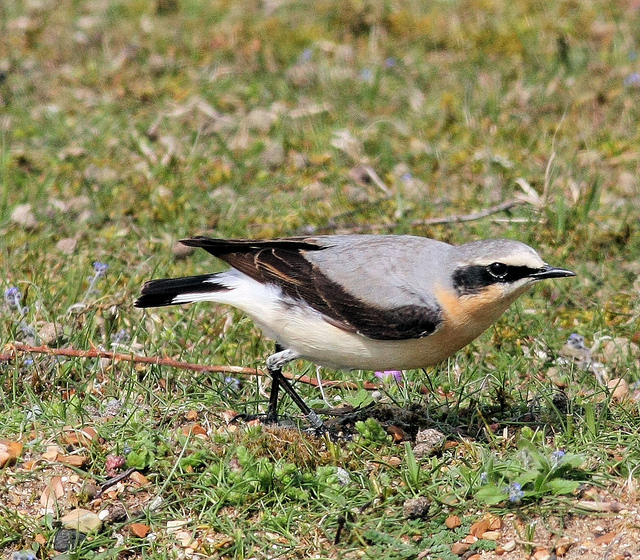 Our next stop was at Clarach Bay where as we climbed onto the cliff-top we found a pair of Wheatear along with Red Kite, Meadow Pipit and Linnet.